‘Switchgate’: What Did GM Know and When Did GM Know It? Revised timeline raises new concerns about long delay in launching GM recall. There are new alegations that GM knew about the problem with its ignition switches as early as 2001. This story has been revised to reflect General Motors’ official response to the letter sent to Mary Barra by safety advocates Clarence Ditlow and Joan Claybrook. The “-gate” reference has become a tired cliché, applied in far too many instances of crisis and intrigue. But the fundamental concern is much the same as with the Watergate scandal: It now appears that General Motors may have had the first signs of trouble as early as 2001 with ignition switches it used in a wide range of its compact models now linked to a dozen deaths, 31 crashes and hundreds of complaint reports. That dates back to well before the first of the vehicles were put into production – and 13 years before GM announced it was recalling 1.6 million Chevrolet Cobalts, Saturn Ions and other models to make repairs to switches that could inadvertently turn from the On position to Off or ACC, in the process stalling out and leaving their airbags inoperable. New documents released in court, as well as provided to the National Highway Traffic Safety Administration (NHTSA) by GM are raising new questions about the GM recall, even suggesting to some that the expanded recall the maker announced in late February might not cover all the affected vehicles. But Claybrook and Clarence Ditlow, director of the Washington-based Center for Auto Safety, are far from satisfied by such a response. “Only GM knows which of the death and injury claims on the Cobalt and other recalled vehicles are due to the ignition key defect. But it’s far more,” they contend in a jointly written letter sent to GM CEO Mary Barra yesterday. Significantly, the safety experts contend that errors in reporting helped conceal the fact that there were more like 58 ignition switch-related deaths involving the Saturn Ion and Chevrolet Cobalt models. It’s not unusual for engineers to discover issues during the pre-production stage. They’re paid to find defects or potential flaws, though many of the things they discover would only go wrong under the least likely circumstances or through intentional misuse. As a result, a manufacturer might opt to make changes, advise its service and field crews to keep a watch out, or simply ignore the issue. Apparently, that was what happened when a problem was discovered with the 2003 Saturn Ion. 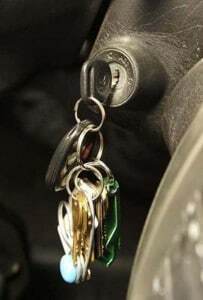 An engineer discovered its ignition switch had a “low detent force.” In other words, the “detent,” the portion of the switch designed to keep the key in the On, Off or ACC position unless turned by the driver, could too easily be moved out of position inadvertently. That proved to be a prescient discovery. In the years to come, motorists would have the switch on the Ion and other GM compacts shift out of the On position for a variety of reasons, including being bounced on a rough road or simply because a driver’s key ring was heavy. GM contends the Saturn switch was fixed yet it was added to the list of recalled vehicles in February 2014. Whether that change was not good enough or, for that matter, passed on to other models is unclear. But as an estimated 240 complaints began to flow in – including the first in what would be 31 crashes resulting in 12 deaths – it might have triggered some sort of follow-up. It didn’t. But after replacing the switch nothing else was done. A side note to that missed opportunity is the fact that the now-abandoned Saturn division often boasted of its quality tracking system which once triggered a recall of every vehicle the company had produced at the time when service technicians reported seeing a water pump fail prematurely. The system proved itself by catching the fact that a supplier had inadvertently delivered an overly corrosive antifreeze to the Saturn assembly line. Ultimately, there were four fatalities in Saturn Ions before last month’s recall. Congress had beefed up the recall process in 2000, following a fiasco involving Ford Explorers and Bridgestone tires linked to 240 deaths, but the lower threshold set by the TREAD Act didn’t seem to be met. NHTSA took similar heat in October 2009 when Toyota launched the first in a series of recalls related to so-called unintended acceleration. In internal documents the Japanese maker boasted about convincing NHTSA to scuttle an earlier recall plan. Eventually, more than 10 million Toyota vehicles were impacted. It’s unlikely GM will come near that total, but critics are far from certain that GM has yet taken action to ensure that all the vehicles equipped with faulty ignition switches have been covered by recall. This entry was posted on Thursday, March 13th, 2014 at and is filed under Automobiles. You can follow any responses to this entry through the RSS 2.0 feed. Both comments and pings are currently closed.